As approximately 4,000 delegates gathered in Chicago recently for the annual National Fire Prevention Association (NFPA) conference, the fire safety advocacy organization has stepped up its campaign for residential sprinkler systems – and an ongoing conflict with home builders, who believe mandatory sprinkler systems unnecessarily increase construction costs for relatively limited life-saving advantages. The sprinkler argument has been at the core of the NFPA since its establishment in the late 1800s, and Pauley says the cost argument was made then as well, as the association lobbied for mandatory sprinklers in industrial buildings, along with other enhancements to improve fire safety. The track record indicates there has been success, especially in recent decades. Annual US fire loss costs (in 2012 dollars) have declined from between $17 and 18 billion in the late 1970s to less than $12 billion in 2013 – and deaths have declined by about 50 percent, from approximately 7,500 to 3,200. Home builders have put out counter-arguments. One study they cite, from the Canada Mortgage and Housing Corporation (CMHC), suggests that each life saved through mandatory residential sprinkler systems would cost $38 million. Builders opposing the NFPA stance assert that the greatest risks for fire deaths have occurred in older homes, which wouldn’t be helped by mandatory sprinkler instructions, at least anytime in the near-term. Still, the NFPA has marshaled its arguments, with videos demonstrating the difference in fire damage between a sprinklered and non-sprinklered home, and observations that sprinkler system costs will decrease dramatically if they become standard rather than special-request items in new construction. The CMHC study asserts that sprinkler system’ costs can vary widely. Depending on key factors such as the type of pipe used (copper or plastic) and location (using municipal water supplies in urban centers or private wells in rural areas), costs associated with the installation of a sprinkler system could range from $2,800 to $6,700 (Canadian). While residential sprinklers top the NFPA’s agenda, it is only one of several areas of importance to the fire protection community, Pauley said. Another – the success in improving safety, reducing fire damage costs, and lowering fire fatality rates – has had an unfortunate negative consequence. There are pressures to reduce and cut budgets for municipal fire inspections and oversight, in part because the fatality and fire loss damage levels have been declining, he said. “There are a lot of new trends in building and construction, and it is important to ensure, as new technologies and practices evolve, that we make sure codes and standards and fire safety evolve as well,” Pauley said. Accordingly, the NFPA supports research, advocacy grants and building code enhancements to change building codes and regulations, making the residential sprinklers mandatory. “When smoke alarms went in as a mandatory requirement in homes, there was an argument that no one would be able to build any homes in the country – because it (would make them) too expensive,” he said. The June 22 to 25 conference at McCormick Place attracted more than 4,000 architects, engineers, contractors, fire protection officials, suppliers and others concerned with fire safety. Pauley says the NFPA holds its annual conference on a rotating schedule, in Las Vegas one year, and then at a major US city the second year. Founded in 1896, “NFPA is a global non-profit organization devoted to eliminating death, injury, property and economic loss due to fire, electrical and related hazards,” the association says. “The association delivers information and knowledge through more than 300 consensus codes and standards, research, training, education, outreach and advocacy; and by partnering with others who share an interest in furthering the NFPA mission.” Overall, the NFPA’s membership totals more than 65,000 individuals internationally. 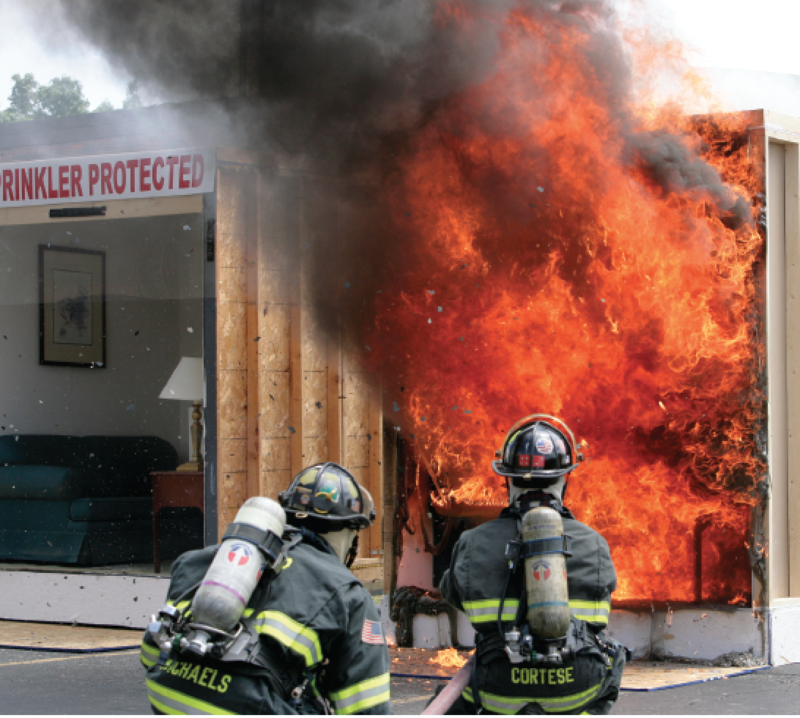 For more information, see www.nfpa.org.